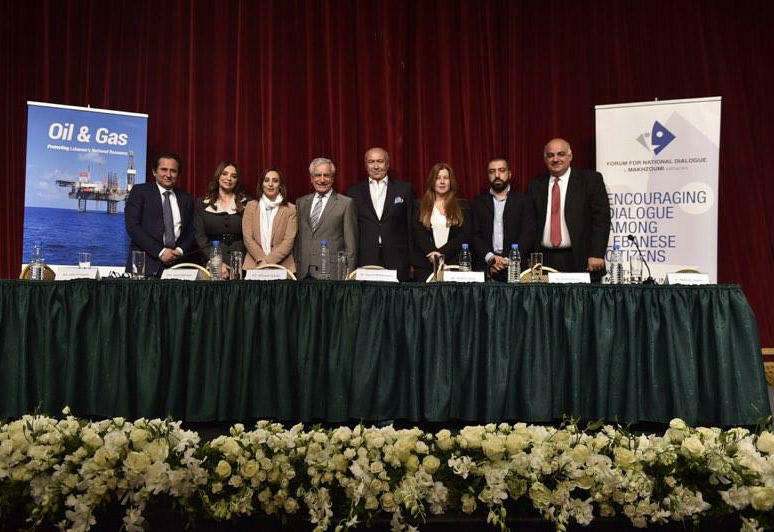 LAU Beirut brings together experts, civil society actors, academics and students to discuss the crucial role of civil society in protecting Lebanon’s oil and gas resources. 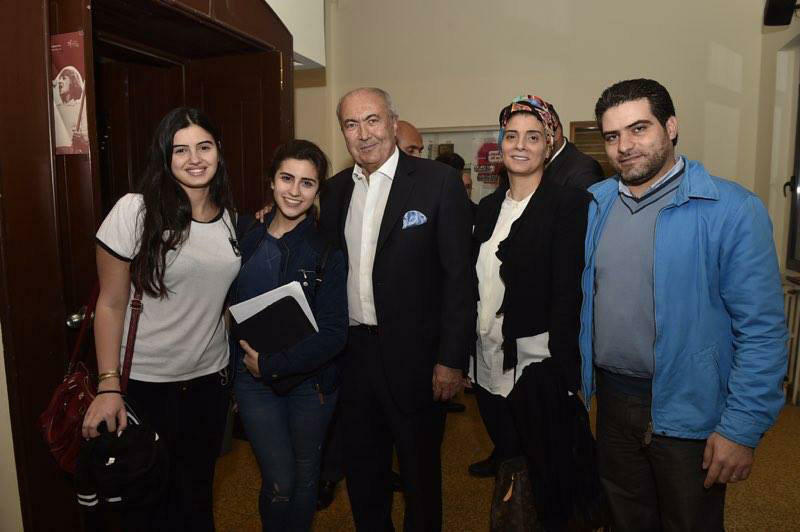 LAU students had the opportunity to interact and network with the panelists. The event gave way to a lively and enriching discussion with the audience. 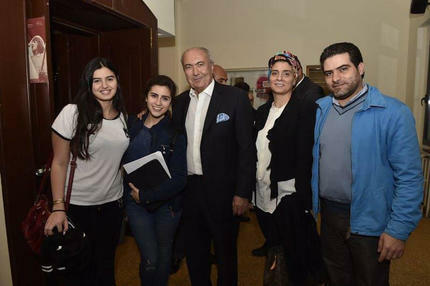 LAU President Joseph G. Jabbra and MC professor Olfat el-Sabeh with the panelists. 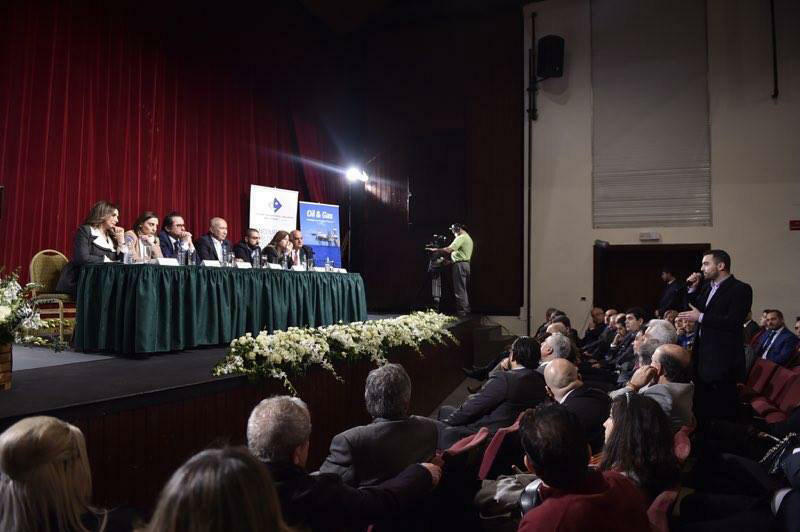 Public figures, experts, and academics in areas of relevance to Lebanon’s emerging oil and gas sector gathered at LAU Beirut last Thursday to speak to a full house about the importance of civil society’s active participation in the development and oversight of the sector. President Joseph G. Jabbra kicked off the event by reminding the audience of LAU’s full commitment to serving society. Welcoming partner and long-time friend of the university Fouad Makhzoumi, he invited him to open the 90-minute conference held as part of the Forum for National Dialogue run by the Makhzoumi Foundation. “There is no transparency without a partnership between civil society and the private sector,” stressed Makhzoumi in his plea to the audience. “With political sectarian divisions, technocrats are not the right people to monitor and oversee the sector. Can civil society take on this role?” he asked. Lebanon’s battle ahead is against its neighboring countries in securing its access to and rights over the oil and gas that have been discovered offshore. The fact that production has not yet begun, however, is no reason not to be actively engaged in the pre-production process, explained LAU graduate and expert on oil and gas governance Laury Haytayan. “We need to make sure the companies applying are well vetted and all contracts are published in the public domain. Civil society organizations are not only monitors, but also decision makers,” she argued. Urging the youthful audience to read up on laws and news that directly impact their future and prosperity was Regional Coordinator for the organization ‘Publish What You Pay’ Diana Kaissy. “We failed as civil society organizations to unite during the garbage crisis, but the oil and gas sector is a one-time opportunity,” she said, highlighting the significance and impact of working together for the common good. General Coordinator of the Lebanese Corruption Observatory Charles Saba agreed, bringing up Norway and Iraq as different examples of Lebanon’s future as an oil and gas producing country. “The government is not ready for the responsibility of potential oil wealth … we must ensure political accountability and transparency,” he stressed. In conclusion, LAU Assistant Professor of Political Science Makram Ouaiss reiterated the importance of civil society’s active participation in the oil and gas sector and invited its members to work on developing shared goals, networks and collaborative skills instead of competitive attitudes. “We thank the international organizations actively trying to ensure transparency and cooperation, but such initiatives should come from within the country,” said Ouaiss. The panel discussion was greatly appreciated by the many LAU students in attendance, particularly those interested in petroleum engineering who took the opportunity to learn more about their career prospects in Lebanon. Student Omran Nofal enquired about internships in the sector and received feedback from LPA chief Wissam Zahabi whose administration has a tradition of welcoming interns. For her part, student Zeinab Chaghoury was interested in knowing the experts’ opinion on whether oil revenues should be used to pay off the national debt. To which Makhzoumi argued that revenues should be invested in the economy, which would then enable the state to repay the mounting debt.